Once the stuff of science fiction, virtual reality is on the cusp of becoming part of our day-to-day lives thanks to mounting technological advances. 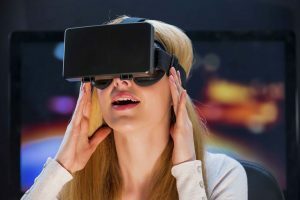 Many popular VR headsets are ushering in exciting new ways to play and interact with the world. As these devices continue to evolve, we believe that EEG algorithms can add the extra layer of immersion needed to truly complete the virtual reality experience. Currently, virtual reality and VR headset developers rely on traditional hand held controllers for their applications. Unfortunately, there has been a struggle to smoothly integrate these controllers, as there is a sense that they take away from a truly immersive virtual reality experience. The Adventures of NeuroBoy – In this adventure game, you play NeuroBoy, who uses telekinetic powers to manipulate objects in his environment. Through the use of a MindWave EEG headset and the NeuroSky Blink, Attention, and Meditation algorithms, users are able to push, pull, lift, or burn objects they come across while playing. As the game progresses, items become heavier, and require you to hone more of your mental muscle to move them. Throw Trucks with Your Mind – Never has a game’s title so accurately described it. 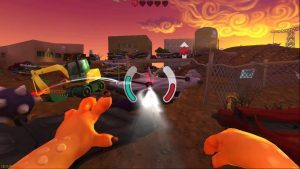 In this game, NeuroSky’s EEG algorithms harness the power of your mind to telekinetically throw trucks at your enemies. 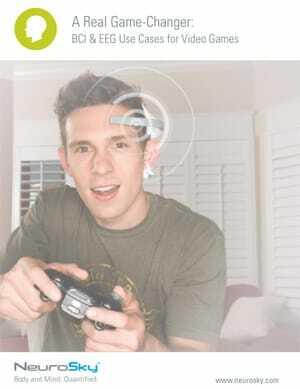 Controlled entirely with your thoughts, our EEG algorithms help make this unique gameplay possible. Imagine being completely immersed in a virtual reality world, and using your mind to interact with objects instead of a controller. We believe our EEG algorithms have the power to make this happen! Emotional Spectrum can sense if a user is experiencing pleasant or unpleasant feelings as well as the intensity of their response. With virtual reality, the sky truly is the limit. We believe that EEG algorithms like ours are the piece of the puzzle required to develop completely immersive VR headset experiences.